AKRI’s Board met last weekend for its fall retreat. The location was a new one—the Maritime Conference Center, near Baltimore. Though the name suggests waterfront views and sunsets over the Chesapeake, it was actually located in an office park near BWI airport (the “maritime” referring to the industry it serves as a training facility and meeting space). The AKRI Board wasn’t the only group there—the dining room and lounge were made lively by members of a bricklayers' union and the Maryland Association of Non-Profits. The location wasn’t the only thing new at this retreat. Ed Shapiro and Seth Harkins joined the Board as Internal Directors representing the Affiliate sector; Sheri-Ann Cowie joined as a new Internal Director; and it was my first retreat as president. The Board also re-appointed Ian Pritchard vice-president; appointed Keith Lequay as treasurer and Seth Harkins as secretary. We’d like to thank our out-going president, Neil Neidhardt, our out-going treasurer, Laura Dorsey-Elson, and our out-going secretary, Frank Marrocco, for their service. It’s October, and that means a lot is going on. 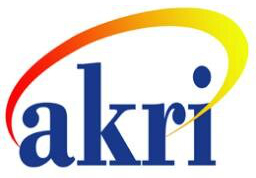 In five days, a new AKRI Board will meet in Baltimore—it's a Board that reflects the newly reconstituted ties between AKRI and the regional Affiliates, and a Board that is committed to being more connected with everyone in the AKRI community. I’m writing this blog, in advance of the retreat, on the first day of my presidency, to invite the AKRI community as a whole to reflect on this moment in history and to contribute your input to the Board’s business this coming weekend. Whether it’s in an email or phone call to any Board member, on any of our social media feeds, or in the comments field below this blog entry, I urge you to let us know what’s on your mind. Whatever you offer, you can be sure that we’ll talk about it when we’re together. Whole Systems Consulting Workshop Coming Up! If you’ve been paying attention to your emails from AKRI or looking at the AKRI calendar on the website, you’ve noticed that we’re offering a Whole Systems Consulting weekend workshop this November. It’s actually our fourth Whole Systems Consulting event, and the second weekend workshop led by René Molenkamp and Mark Kiel. These events have been remarkably successful and we believe that they reflect a demand in the GR community for additional training events focused on application. I’d like to briefly describe the backstory and the “why” behind these events, as well as some reasons I think they’re quite special. There’s always been widespread awareness of the difference between Group Relations Conference (GRC) consulting and professional roles that involve consulting. The AKRI membership has its share of the latter—whether full-time OD practitioners, or those whose professional roles involve consulting to the realities of their system (e.g., managerial, clinical, administrative, pastoral, or leadership roles). But while AKRI offered formal training to become a GRC consultant, it offered nothing formal to develop the applied consulting skills in the world. Who wants to help organize the party? The past few months have seen two exciting celebrations of the rich history of GR work in the world. OFEK celebrated its 30th Anniversary over a long weekend in Jerusalem and Tel Aviv, and the Tavistock Institute held a weeklong Festival in London to recognize its 70th Anniversary. In an ongoing effort to engage with the broad expanse of Group Relations work in the world, we’d like to mention a few things that are going on internationally. First, there’s a conference going on right now in South Africa that came to our attention via Ellen Short, who heard about it from its director, Jean Cooper. The Board joined Ellen in her vision to offer our support to Group Relations work the world over, and AKRI donated to the scholarship funds for the event. You can read more about it here and proudly know that AKRI has a part in learning that’s going on right now. If you’ve been paying attention, you might have noticed that it’s a busy January for Group Relations Conferences on the East Coast. As it’s done for the past four decades, the Center for the Study of Groups and Social Systems (aka, Boston Center) is putting on their annual residential Conference in Dover, MA. And the New York Center for the Study of Groups, Organizations, and Social Systems (aka, New York Center) is launching a brand new weekend Conference, to be held at City College of New York. As a first order of business, let’s join together in celebrating these rich learning opportunities, and let’s do what we always need to prior to conferences: recruit! If it’s been a while since your last residential conference, or if you’ve been to a few weekend conferences and want to take it to the next level, sign up for Boston here. And if you want to support the next big thing, of if you have colleagues or students who want to give a conference a try, sign up for New York here. Each conference offers a unique experience, and if you think about it, we’d bet you have friends, colleagues, students, etc. who you could recruit for either or both. Let’s not keep the profound learning and life-changing experience to ourselves! One of the most important outcomes of the weekend was the nomination and election of AKRI’s new officers. Ian Pritchard, who’s been serving as interim Vice-President since June, enthusiastically accepted our nomination to continue in the role and was unanimously elected. Laura Dorsey-Elson offered her services in the role of treasurer, and the Board unanimously voted in favor. And Frank Marrocco offered to serve as Secretary, and was also unanimously elected. Our departing treasurer, Robin Engels-Heitzman, offered some important consultations to the Board about how to enhance both the success of the individual in the role, and the whole Board’s work with the financial aspects of its work. It’s with special gratitude, then, that we elected Laura, and that other Board members—including Jack Marmorstein in his role as President-Elect, and Keith Lequay, who, earlier in his career, worked in the banking sector—offered their services to make the treasurer a less isolated role. We’re all hopeful that we can turn over a new leaf in this regard, and would welcome whatever expertise resides in the AKRI membership, if you have ideas for ways we can continue to improve. We, the AKRI Board, just concluded our semi-annual retreat in Milford, PA, and we invite you to join us for the launch of AKRI’s new blog! 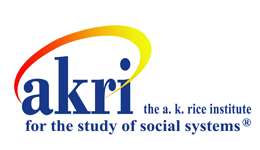 There’s much to cover in the first few entries—a report from the retreat, welcoming AKRI’s new Board members and officers, and some news and plans for the future.